Political analysts and pundits have already begun conducting an autopsy on the Obama administration's effort to reform America's healthcare system. Dismal poll results, Scott Brown's victory in the Massachusetts Senate race and squeamishness over the upcoming November elections have combined, they say, to bring yet another health reform effort to a crashing demise. Call me a stubborn optimist, but I still believe it's possible to find a cure for this patient rather than give up the ghost. The need to improve our healthcare system is just as imperative today as it was when this legislative process started. Failure should not be regarded as an option. Having tens of millions of Americans without health insurance remains an unacceptable status quo. So does a system in which we're spending more than $2 trillion annually without ensuring the best achievable value, quality and patient outcomes. The president was right to make health reform a priority, and these challenges shouldn't be placed on the back burner just because the political dynamic has soured. But how do we resuscitate the cause? First, we need to understand how the health reform movement went off track. Over the past few months, we've seen a growing disconnect between what the American people want in health reform and what Washington seemed determined to give them. We can't lose sight of the fact that the vast majority of citizens have some form of health coverage and, as recently as June 2009, a Time magazine survey said that 86% of Americans are satisfied with what they have. People want their friends and neighbors to have affordable insurance. They want a system that offers uniformly high quality while keeping costs reasonable. But they're not clamoring for radical change and system upheaval. Yet, months were spent in a virtually single-minded focus on whether the federal government should create an insurance entity to “compete” in the private marketplace. It became eminently clear that this would threaten the oft-repeated promise that people would be able to keep the healthcare they currently have. This time and energy would have been better spent explaining why everyone needs to be covered in order to achieve a reformed, sustainable system. I would encourage Congress to step back, take a deep breath and then renew the drive toward health reform with an eye toward the following changes that our system genuinely needs and can gain sustainable public support. Take common sense steps to make health coverage more accessible. The primary investment in health reform legislation should be for subsidies to help working families afford health insurance. Research has shown us that millions of uninsured Americans work for employers who are willing to pay part of the cost of coverage. Let's use subsidies to help bridge the gap. It's also possible to make an individual mandate more acceptable to a skeptical public by encouraging flexibility in benefit design so that young, healthy adults can opt for low-premium, high-deductible plans that fit their circumstances. The Medicaid expansions called for in the Senate and House reform bills should be reset to reasonable levels. States can't absorb heavy long-term financial liabilities. It also makes little sense to add millions to the Medicaid rolls when many physicians don't see Medicaid patients because of low payment rates. And let's also make meaningful investments to identify and reach the millions of Medicaid and State Children's Health Insurance Program-eligible individuals who haven't enrolled in those programs. Make delivery and payment reform real—not just theoretical. Mark McClellan, the former head of the CMS, wrote recently that one of the main problems with the current health reform bills is that they rely too heavily on demonstration projects that can take a decade to structure and implement. I would add that Washington doesn't have a strong track record of translating these experiments into actual policy changes. We don't need to start the movement toward paying for value instead of volume from theoretical scratch. Organizations like Premier and the Marshfield Clinic have already developed striking results working with the CMS on providing high-quality care while controlling costs. The lessons we need to learn are out there. They need to be written into legislation as genuine payment reforms. Recognize the importance of innovation in controlling future costs. One area upon which there is bipartisan agreement is that we need to emphasize wellness and prevention in order to address the chronic disease costs that drive more than 70% of healthcare spending. Yet, it's disappointing that in the current health reform debate, we hear a lot about the necessity to extract revenue from various health sectors, but precious little about the need to provide incentives for innovation. As we stand on the verge of dramatic breakthroughs in fields like genomic wellness, innovation should be a centerpiece of health reform. Some might call me Pollyannaish for believing this can still be accomplished as we head toward Election Day 2010. Voters, however, aren't calling for inaction. Polls show that people want health reform, but they want a better alignment between legislation and actual needs. If Congress is willing to strip away the political and ideological baggage and focus on what genuinely needs to be done, it's not too late to bring health reform back to life. 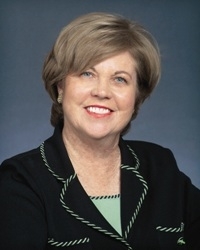 Mary Grealy is president of the Healthcare Leadership Council, a forum for executives from across the spectrum of healthcare provider and supplier sectors.